Another review by my ever obliging ecologist neighbour, Dr Sam Lloyd. I pass on to her titles that I know will be RIGHT up her alley. Sam is an ecologist and manager for South East Queensland Fire and Biodiversity Consortium. Sam is also a former dance teacher and a keen consumer of children’s literature. She has been involved in the Story Arts Festival Ipswich and she regularly reviews books for me, her post on bees is an extremely popular. Themes: Introduction to the physics of forces, bird natural history. 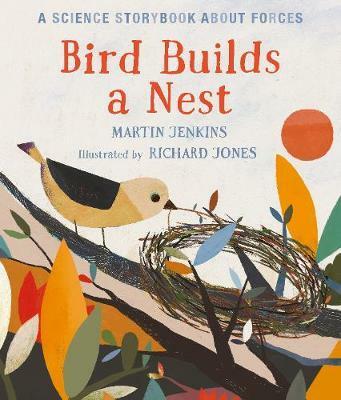 ‘Bird Builds a Nest’ is a beautifully simplistic and engaging science story, for children aged 3 – 6, about the physics of forces, as demonstrated by the behaviour of a bird building a nest. The story itself follows “Bird” as she uses force to forage for food, collect twigs and other materials and use those twigs and other materials to build her nest. Martin Jenkins’ text is pitched in just the right way, encouraging us to follow “Bird” and be curious about what she is doing and why. Martin leads us through the different actions (forces) applied by “Bird” and explains why they do, or do not succeed and importantly, how “Bird” changes her behaviour (i.e. how she uses force differently) to reach her goal. The illustrations are created by Richard Jones, they are just beautiful and complement the text. I love the expressions on “Bird’s” face as she is pulling at her worm or when she drops her twig, it provides just the right amount of emotion. The muted autumn colours are perfect, beautiful sage and olive greens, tangerine and orange, browns and beige, greys and blues, mulberry and the occasional splash of pink. You can find more of Richard’s illustrations here. The book defines a force as “…something that makes an object move, stop moving or change direction.” Definitions are provided along to way (in a font type distinct from the story text) to help explain how force is being applied or used to achieve an outcome. For example, when “Bird” is trying to lift a heavy twig we are told “the more something weighs, the more force you need to lift it.” When “Bird” can’t lift the heavy twig, the story goes on to demonstrate what she can lift instead and how there can be a trade-off (i.e. two medium-sized twigs or three to four small twigs, but these can be tricky for her to carry). This is an excellent example of how coordination and concentration work together with force and strength to achieve a task. The book also touches on the force of gravity, but only briefly. However, for small children it’s a good example of why things break when you drop them (not mentioning any names from my house)! To purchase other titles by author Martin Jenkins, click here. For other titles by illustrator Richard Jones, click here. Now…by no means am I an expert on physics, in fact I happily avoided it during high school, university and my PhD! However, some of the most common science questions my children ask are related to physics. This is because physics is by definition, the study of “the nature and properties of matter and energy” (en.oxforddictionaries.com). Including, how things move, heat, light, sound and electricity, to name a few. On a daily basis, my children demonstrate the properties of physics, i.e. how it is a smaller child falls over and cries when a larger child pushes them (using force) …or a larger child screaming when a smaller child pulls (using force) their hair. Providing a flurry of opportunity to engage in the science of physics, force, movement…and consequences. sciencenewsforstudents.org– I love this website, it translates science in the news into digestible formats for children…brilliant! Science News for Students is a publication of the Science News Media Group, which is a program of the Society for Science & the Public, a nonprofit organisation dedicated to public engagement in scientific research and education. brainpop.com– this is a very well-designed website providing terrific learning resources covering an extensive range of core and supplementary subjects (not just science). 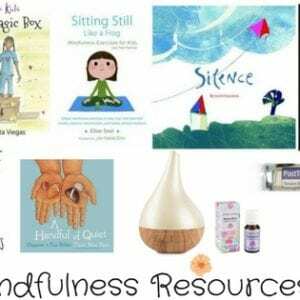 It has resources specifically designed for younger school children and the website itself is very engaging and easy to navigate.